A movie-going staple for decades, drive-in theaters began to decline in the 1970s and became close to extinct by the 1980s. 2017�s At the Drive-In looks at the ways one remaining location fights to survive. Rural Pennsylvania�s Mahoning Drive-In opened in the late 1940s and remains in operation. However, the theater�s existence undergoes a threat due to changes in the industry. Hollywood no longer sends out film prints and the Mahoning can�t afford a digital projector. If they can�t find a way to turn a profit anyway, the theater may go the way of the dodo. As a lifelong resident of suburban Washington DC, I remember a couple of drive-ins around my area. However, I never attended any of them. My only drive-in experience when my family visited Minnesota in 1980 for my grandparents� 50th anniversary. The local drive-in ran a triple feature that included Let It Be. In those pre-VHS days, I didn�t know when I�d have a chance to see that flick again, and my dad agreed to take his Beatles-obsessed son to this showing. We had to wait until midnight for Let It Be to run and sat through a hailstorm along the way, but that was life pre-video! This means I don�t share real nostalgia for drive-ins, a factor that may make it tough for me to connect to this film. I don�t see drive-ins as a special place, and that theme becomes a major aspect of the movie. Though the need to survive in a world of digital projection becomes a part of Drive-In, the movie becomes less �plot-driven� than my synopsis may indicate. While we see some of the attempts to deal with film distribution issues, Drive-In mostly acts as a glimpse of the community that forms at the Mahoning. I won�t say this emphasis makes the setting of Drive-In superfluous, as it spends enough time on material related to films and drive-ins to make that domain important. Still, the documentary�s focus on its cast of characters means it offers a sort of tale that could take place at any location where a community gathers. I�m fine with this narrative choice, though I admit I would�ve liked a more traditional documentary that discussed the history of drive-ins and where they currently stand along with the Mahoning-specific domains. However, director Alexander Monelli didn�t choose to make that movie, so for better or for worse, we end up with a tale of the characters at the Mahoning. And they definitely are �characters�, as we find a seemingly endless array of quirky oddballs. Some seem odder than others, but it becomes clear that Monelli concentrates on the diehards most devoted to the Mahoning and their little drive-in community. On the surface, this seems like a good choice, as Monelli could shed light on what makes the Mahoning special and what draws the folks there. However, Monelli casts such a broad net that we don�t get much that one could call insightful. Oh, every once in a while we learn a little about the characters that gives us an idea what makes the Mahoning important to them, but most of the time, Drive-In just rambles from one event to another. There�s not much coherence on display here, as the film seems haphazardly edited. This makes Drive-In more a semi-random conglomeration of scenes and less a unified documentary. The film spends too little time with any of the characters to bring them to life, so we just get brief sketches and general impressions. 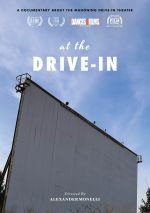 At times, Drive-In can offer some entertainment value, especially for movie fans who can identify with the film obsessives who populate the Mahoning. Unfortunately, the documentary feels too erratic and formless to become a satisfying program. At the Drive-In appears in an aspect ratio of approximately 1.78:1 on this single-sided, double-layered DVD; the image has been enhanced for 16X9 televisions. This felt like an acceptable SD-DVD presentation. Sharpness usually seemed fine. The film could occasionally look a little soft, but it generally appeared reasonably accurate and concise for SD-DVD. Mild issues connected to jagged edges and shimmering occurred, but no signs of edge enhancement occurred. Source flaws weren�t an issue. Colors were satisfactory. With a mild teal impression, these tones looked decent, though they lacked much pep. Blacks were fairly dark and tight, and low-light shots seemed acceptably distinctive. While this was never a dynamic image, it remained perfectly watchable. I thought the Dolby 2.0 soundtrack of Drive-In was also acceptable, though the soundfield had little going for it. Music showed decent stereo imaging, and a few effects spread out across the front. These were minor, though, and didn�t add much to the experience. That said, a documentary like this didn�t need a dynamic soundscape, so I didn�t mind the bland presentation. Audio quality was fine. Speech sounded natural and concise, without edginess or other problems. Music seemed full and rich, and effects were decent. They didn�t demand much of the mix, but they appeared accurate enough. This was a perfectly serviceable soundtrack for a documentary. 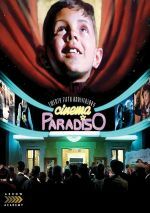 Three audio commentaries appear here, and the first comes from director Alexander Monelli and castmember/critic Robert Humanick. Both sit together for a running, screen-specific look at the shoot. Kind of. While we get some notes about the experience of making the film, this first commentary mostly acts as a chance for Monelli and Humanick to talk about movies or whatever else comes to mind. I figured this track would act as a fairly standard director�s commentary and deal with issues related to the movie�s creation, but that rarely happens. Instead, it tends to become awfully general and random, without much to make it interesting. For the second commentary, we hear from Monelli and castmembers Jeff Mattox, Matt McClanahan, Virgil Cardamone, Corey Pace, Jessica Pell and Andrew Rotherforth. This whole group sits together for a running, screen-specific look at the project and various relationships and background. While superior to the Monelli/Humanick commentary, this one never becomes especially insightful. The participants tend to talk too much about how much everyone likes each other and what a wonderful setting the Mahoning is. Those thoughts could be accurate, but they don�t lead to a satisfying commentary. The track does bring some good anecdotes, and Monelli actually tells us a bit more about the production than he does in the first track, but this still feels like an inconsistent discussion. The final commentary brings us Monelli, Mattox and castmembers Mark Nelson, James T. Mills, Patrick Chordas and Ashley Healy. Again, the participants sit together for a running, screen-specific chat that covers the same topics as the last track. And that sometimes becomes literal, as more than a few notes repeat from the second � and even first � commentaries. In particular, Monelli gives us many of the same thoughts, so expect to hear some material over and over. The third commentary strongly resembles the second in other ways, as it leans heavily toward a mutual lovefest among the Mahoning regulars. Like the second track, we get a few interesting stories about the folks and their experiences, but the end result feels less than informative. A Q&A runs 32 minutes, 10 seconds and includes Monelli, Mattox, Nelson and Mills. They discuss aspects of the documentary and their thoughts about movies. Much of this feels like �film purist� self-congratulation, so don�t expect a lot of substance. In addition to the movie�s trailer, we get 19 Deleted Scenes. These fill 17 minutes, 34 seconds and give us added info about the participants. Most of these seem pretty brief and forgettable. The only notable addition comes from comments from a psychologist who researches nostalgia. She brings some insights but doesn�t get enough screen time to tell us much. With its focus on a long-gone movie-going culture, At the Drive-In comes with the potential to offer an intriguing viewpoint. The end result seems less engaging than hoped, though, as it lacks coherence and feels more like a love letter to movie nerds than anything else. The DVD brings decent picture and audio along with occasionally informative supplements. Drive-In becomes an erratic disappointment.